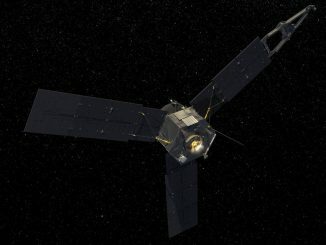 Four days out from arriving at the solar system’s biggest planet, NASA’s Juno spacecraft received a final uplink of commands Thursday governing the robotic probe’s high-velocity braking maneuver Monday to steer into orbit around Jupiter. 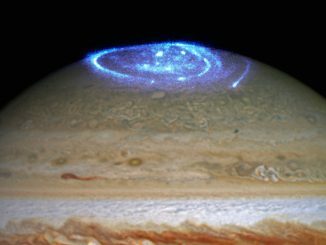 Peering a half-billion miles across the solar system, the Hubble Space Telescope has caught a glimpse of brilliant auroras flashing over Jupiter’s north pole as NASA’s Juno orbiter speeds toward the gas giant for a close-up look. 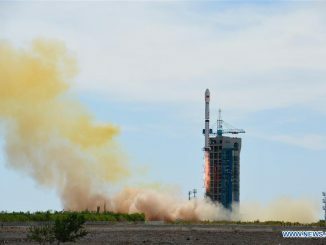 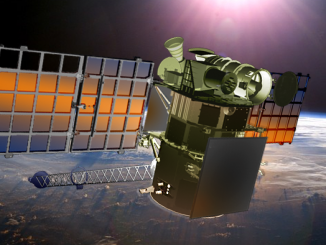 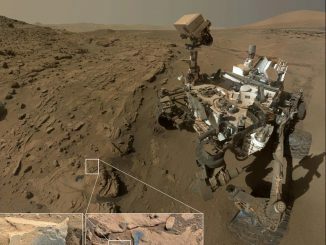 A Long March 4B rocket lifted off from a remote launch base in the Gobi Desert Wednesday and placed a secretive spacecraft in orbit 375 miles above Earth, likely adding a new electronic surveillance station to the Chinese government’s growing satellite fleet. 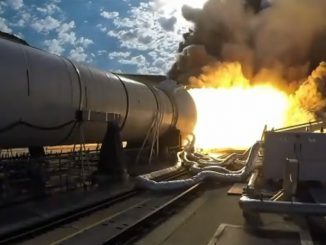 Pushing out a brilliant plume of nearly 5,000-degree exhaust, a test booster for NASA’s Space Launch System fired for more than two minutes Tuesday to verify the upgraded space shuttle-era solid rocket motor is ready to help send astronauts into deep space. 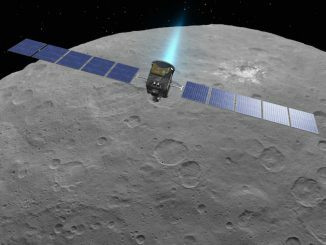 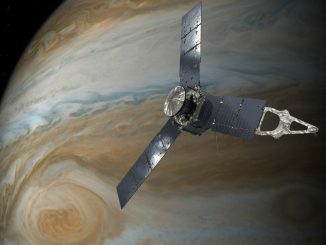 Ground controllers pressurized the Juno spacecraft’s propulsion system Tuesday to prep for a July 4 rocket firing by the probe’s UK-made rocket engine that will steer the spinning, solar-powered robot into orbit around Jupiter. 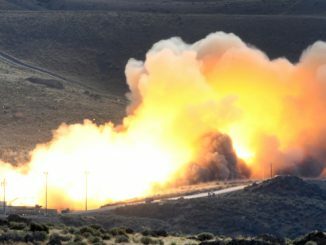 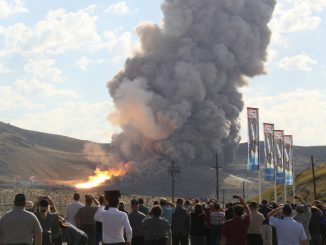 A 154-foot-long solid rocket booster will be ignited for two minutes Tuesday at a remote test site in Utah, wrapping up a series of five ground firings to prove the motor’s readiness for flight on NASA’s Space Launch System.